Hopeton Overton Brown, aka Scientist, is a true legend. He took dub reggae to a completely different level. Trained and mentored by the late, great, lamented King Tubby, he blew the scene into smithereens with his knowledge, skill and complete understanding of the mixing desk. His new album, The Untouchable, is a really great collaboration with some of the best artists of the international reggae scene: Tippa Irie, Rod Taylor, Sabrina Pallini, Da Real Storm, Dubiterian, Ilhame Paris, Jacin, Kelli Love. Scientist's The Untouchable is a concept of reintroducing rhythms produced by Bunny Lee from the '70s and some rhythms produce by The Scientist from the '80s, by introducing some new school artists alongside the old school to preserve the power of dub reggae music. No matter where you are, this music has the power to cross borders, to soothe your heart and soul and make you feel alive. LP version. Gatefold sleeve. Hopeton Overton Brown, aka Scientist, is a true legend. He took dub reggae to a completely different level. Trained and mentored by the late, great, lamented King Tubby, he blew the scene into smithereens with his knowledge, skill and complete understanding of the mixing desk. His new album, The Untouchable, is a really great collaboration with some of the best artists of the international reggae scene: Tippa Irie, Rod Taylor, Sabrina Pallini, Da Real Storm, Dubiterian, Ilhame Paris, Jacin, Kelli Love. 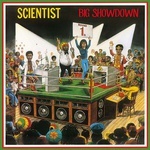 Scientist's The Untouchable is a concept of reintroducing rhythms produced by Bunny Lee from the '70s and some rhythms produce by The Scientist from the '80s, by introducing some new school artists alongside the old school to preserve the power of dub reggae music. No matter where you are, this music has the power to cross borders, to soothe your heart and soul and make you feel alive. 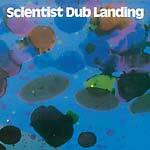 Dub Mir present the first reissue ever of Dub Landing (1981) by Scientist. Produced by Linval Thompson, mixed by Scientist and first released in 1981. The wonderful Dub Landing starts out with an exceptionally powerful dub reformation of Al Campbell's "Unfaithful Children" showcasing Scientist's exceptional skills of deconstruction and reconstruction. Scientist at his best on Dub Mir. Remastered by Hopetown Overton Brown. Contains a bonus CD. 45rpm - audiophile edition. Dub Mir present the first reissue ever of In Dub Vol 1. (1981) by Scientist. 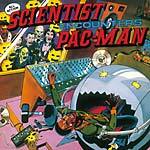 A truly outstanding Scientist killer dub LP, originally released in 1981. Produced by Linval Thompson and mixed by the one and only Scientist at King Tubby's. Remastered by Hopetown Overton Brown. Contains a bonus CD. 45rpm - audiophile edition. 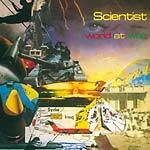 Dub Mir present the first reissue ever of World At War (1981) by Scientist. 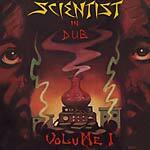 Jimmy Riley meets Scientist in dub. Classic Scientist dub action over tough Sly and Robbie Channel One rhythms. All tracks recorded at Channel One by Prince Jammy, Scientist and Jimmy Riley. Top ranking dub. Remastered by Hopetown Overton Brown. Contains a bonus CD. 45rpm - audiophile edition. 2016 repress. "Hopeton Brown, better known as Scientist, has been a pioneering figure in the world of dub for nearly 40 years. 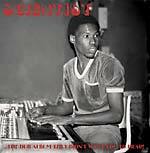 His early love of electronics proved fruitful when (still a teenager) he was hired at King Tubby's studio in Kingston. Brown quickly ascended the ranks and became heir to Tubby's throne, producing imaginative and technically impressive mixes that solidified his forward-looking nickname. 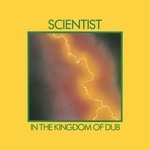 Introducing Scientist - The Best Dub Album in the World, his 1980 debut LP, lives up to its boastful title. Recorded with Sly & Robbie at Channel One Studio and mixed at King Tubby's, the album features hypnotic basslines, reverb- drenched keyboards, and fluid, start-stop rhythms. Opening track 'Steppers,' with its well-balanced phrasing and organic contours, shows Scientist's mastery of the studio- as-instrument concept. On 'Scientific,' the effectsladen guitars are stretched to their outer limit to create magnificent, spaced-out textures and muted tension. Introducing Scientist displays the talents of a man obsessed with every element of production, drawing out the very best of the dub form." Most people associate Tuff Gong with Bob Marley, and rightly so, as he was often called Tuff Gong and his early releases came out on the Tuff Gong label. But Tuff Gong was also the name of a recording complex named after Bob Marley that included a top-level recording studio, pressing plant, and distribution center. Marley had taken over the former residence of Island Records boss Chris Blackwell -- Island House, 56 Hope Road -- around 1974. Two days before the Smile Jamaica Concert, on December 3, 1976, the house was ambushed by gunmen. Marley's manager, Don Taylor was hit five times, Marley was shot in the arm, and his wife Rita was hit in the head by a stray bullet -- but none of the injuries were fatal. Immediately after the concert Marley started his self-imposed exile from Jamaica, settling in London, England. This would lead to the aptly named Exodus album being recorded there in the summer of 1977. It would not be until the One Love Peace Concert in Kingston's National Stadium on the April 22, 1978, that Marley would return to the island. Marley felt it was important to show his commitment to the people of Jamaica, and upon his return to 56 Hope Road, he began the construction of his own recording studio with the help of music mogul Tommy Cowan. Unfortunately, Marley's short life would end on the May 11, 1981, from cancer. His passing would lead to 56 Hope Road being turned into a museum. A new location would have to be found to carry on Marley's work; this turned out to be 220 Marcus Garvey Drive, Kingston 11. Rita Marley and Tuff Gong International bought the facility, and hired engineers including Errol Brown (Treasure Isle Studios) and Hopeton Brown aka Scientist, so named for his groundbreaking style by the great producer Bunny "Striker" Lee, who had worked with him previously at King Tubby's studio and Channel One Studios. Watch This! Dubbing at Tuff Gong focuses on the work carried out by the great Scientist on the songs of the Black Solidarity label (run by Ossie Thomas aka Joe the Boss), at Tuff Gong, one of the foremost recording, pressing, and distribution facilities on the Jamaican island, set up from the work of Bob Marley to carry forward reggae music. CD includes four bonus tracks. LP version. Most people associate Tuff Gong with Bob Marley, and rightly so, as he was often called Tuff Gong and his early releases came out on the Tuff Gong label. But Tuff Gong was also the name of a recording complex named after Bob Marley that included a top-level recording studio, pressing plant, and distribution center. Marley had taken over the former residence of Island Records boss Chris Blackwell -- Island House, 56 Hope Road -- around 1974. Two days before the Smile Jamaica Concert, on December 3, 1976, the house was ambushed by gunmen. Marley's manager, Don Taylor was hit five times, Marley was shot in the arm, and his wife Rita was hit in the head by a stray bullet -- but none of the injuries were fatal. Immediately after the concert Marley started his self-imposed exile from Jamaica, settling in London, England. This would lead to the aptly named Exodus album being recorded there in the summer of 1977. It would not be until the One Love Peace Concert in Kingston's National Stadium on the April 22, 1978, that Marley would return to the island. Marley felt it was important to show his commitment to the people of Jamaica, and upon his return to 56 Hope Road, he began the construction of his own recording studio with the help of music mogul Tommy Cowan. Unfortunately, Marley's short life would end on the May 11, 1981, from cancer. His passing would lead to 56 Hope Road being turned into a museum. A new location would have to be found to carry on Marley's work; this turned out to be 220 Marcus Garvey Drive, Kingston 11. Rita Marley and Tuff Gong International bought the facility, and hired engineers including Errol Brown (Treasure Isle Studios) and Hopeton Brown aka Scientist, so named for his groundbreaking style by the great producer Bunny "Striker" Lee, who had worked with him previously at King Tubby's studio and Channel One Studios. Watch This! 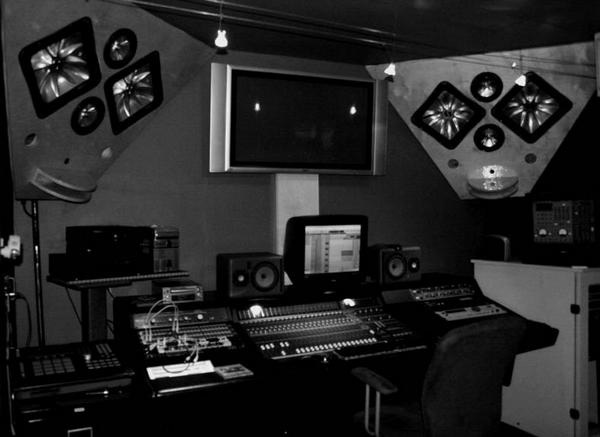 Dubbing at Tuff Gong focuses on the work carried out by the great Scientist on the songs of the Black Solidarity label (run by Ossie Thomas aka Joe the Boss), at Tuff Gong, one of the foremost recording, pressing, and distribution facilities on the Jamaican island, set up from the work of Bob Marley to carry forward reggae music. 2019 repress; LP version. Rids the World of the Curse of the Vampires (1981) not only ably displays Scientist's varied approach, but also clocks in as one of his best outings. Scientist keeps things lively with plenty of reverb and echo-treated percussion, ghostly piano parts, video game sound effects, and other wobbly interjections from the mixing board. The record's expert evocation of the Halloween spirit also includes some fiendishly-voiced intros, the cover art's cartoon potpourri of horror film characters, and the dubious claim made in the liner notes that Scientist mixed it all at midnight on Friday the 13th. Along with Keith Hudson's Pick a Dub (1974) and Lee Perry's Blackboard Jungle Dub (1973), this is one of the essential dub albums. Hopeton "Scientist" Brown and Lloyd "Prince Jammy" James both learned their dubcraft at the feet of the universally-acknowledged master of the art form, King Tubby. The ten tracks on this classic 1980 album are quietly brilliant in terms of style and approach, reflecting a complete mastery of the form. Rhythms supplied by the unstoppable Roots Radics band. 2019 repress; LP version. Hopeton "Scientist" Brown and Lloyd "Prince Jammy" James both learned their dubcraft at the feet of the universally-acknowledged master of the art form, King Tubby. The ten tracks on this classic 1980 album are quietly brilliant in terms of style and approach, reflecting a complete mastery of the form. Rhythms supplied by the unstoppable Roots Radics band. With this 1982 album, Scientist delivers one of his most progressive mixes, deconstructing the originals down to their skeletal base and adding just the right amount of mixing board-generated Echoplex and reverb with his patented minimal sound. A landscape resplendent with steely piano, depth-charge drums, and futuristic dub effects; a mind-warping yet eminently enjoyable way to check into dub central. 2016 repress; LP version. With this 1982 album, Scientist delivers one of his most progressive mixes, deconstructing the originals down to their skeletal base and adding just the right amount of mixing board-generated Echoplex and reverb with his patented minimal sound. A landscape resplendent with steely piano, depth-charge drums, and futuristic dub effects; a mind-warping yet eminently enjoyable way to check into dub central. Scientist was only 20 years old when, working with fellow producer "Junjo" Lawes, he came up with this 1980 stunner, a sinuous groove party with cartoonlike special effects (a lot of bongs and boings like pans hitting one another, blips and squeals that sound like a Pac-Man game). All the "song" titles are references to boxing (a motif that Scientist was obviously mining for all it was worth), and all are great individual bits of dub sound that cohere into a meaningful whole. As it says on the jacket, "This ya a youthful sound fe come mash y'down." 2016 repress; LP version. Scientist was only 20 years old when, working with fellow producer "Junjo" Lawes, he came up with this 1980 stunner, a sinuous groove party with cartoonlike special effects (a lot of bongs and boings like pans hitting one another, blips and squeals that sound like a Pac-Man game). All the "song" titles are references to boxing (a motif that Scientist was obviously mining for all it was worth), and all are great individual bits of dub sound that cohere into a meaningful whole. As it says on the jacket, "This ya a youthful sound fe come mash y'down." The cosmic theme is well-served on these ten effects-riddled tracks, with the rockers-style material littered with all manner of stratosphere-breaking sounds from the mixing board and strategically adorned with snatches of ghostly echo and pneumatic percussion. It's certainly an appropriate mood for a post-apocalyptic battle involving cartoon machines. 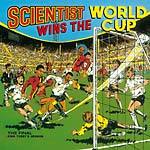 Another essential dub album from the legendary Scientist, originally released in 1981. Rids the World of the Curse of the Vampires (1981) not only ably displays Scientist's varied approach, but also clocks in as one of his best outings. Scientist keeps things lively with plenty of reverb and echo-treated percussion, ghostly piano parts, video game sound effects, and other wobbly interjections from the mixing board. The record's expert evocation of the Halloween spirit also includes some fiendishly-voiced intros, the cover art's cartoon potpourri of horror film characters, and the dubious claim made in the liner notes that Scientist mixed it all at midnight on Friday the 13th. Along with Keith Hudson's Pick a Dub (1974) and Lee Perry's Blackboard Jungle Dub (1973), this is one of the essential dub albums. Scientist's name can be found all over any dub record collection; he was a protégé of King Tubby, and many would say that when dub fell on quieter times it was Scientist who breathed new life into it. His pared-down mixing style suited the dancehall reggae sound that arrived as the '70s rolled into the '80s. This 1982 album includes the priceless dub of Johnny Osbourne's classic "Give a Little Love," as well as further cuts of the likes of Hugh Mundell and Wayne Jarrett. Scientist is always in control. This reissue includes the complete original album (which listed its tracks only as "Five Dangerous Matches" on each side), plus six bonus tracks. Repressed; LP version. 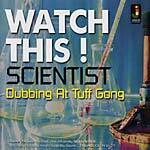 Scientist's name can be found all over any dub record collection; he was a protégé of King Tubby, and many would say that when dub fell on quieter times it was Scientist who breathed new life into it. His pared-down mixing style suited the dancehall reggae sound that arrived as the '70s rolled into the '80s. This 1982 album includes the priceless dub of Johnny Osbourne's classic "Give a Little Love," as well as further cuts of the likes of Hugh Mundell and Wayne Jarrett. Scientist is always in control. This reissue includes the complete original album (which listed its tracks only as "Five Dangerous Matches" on each side), plus six bonus tracks. "Totally killer previously unreleased dub companion LP to Flick Wilson's School Days LP. Jah Life was no slacker when it came to mixing dubs, and sat in with Scientist at King Tubby's for the mixing of many of the classic Junjo/Radics/Scientist albums. But more importantly, they also mixed a ton load of dubs for Jah Life himself, many of which, like this album, remain unreleased... until now! Nine out of ten tracks from the Flick Wilson album are dubbed here, and one track from the Wayne Jarrett's What's Wrong With the Youths album. 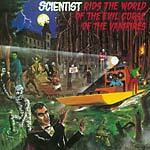 Classic Scientist 1980-style mixing, nothing else like it, hard stuff. Cover features a fantastic previously unseen photo from Beth Lesser." 2014 repress, originally released in 2008. Scientist's name will be found on many dub releases in people's record collections. His connection to King Tubby is inseparable and many would say that when dub had fallen on quieter times, it was Scientist who breathed new life into it. His paired-down mixing style suited the new dancehall reggae sound that came as the '70s rolled into the '80s. 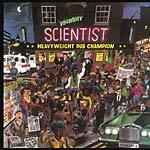 Such was his stature that albums were now sold with his name on their jacket, Scientist vs. 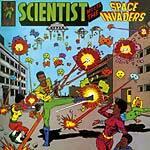 Prince Jammy and Scientist Meets the Space Invaders, to name but two. Here Jamaican Recordings have compiled some tuff tracks from that same period, before everything went digital. Hope you enjoy the set.